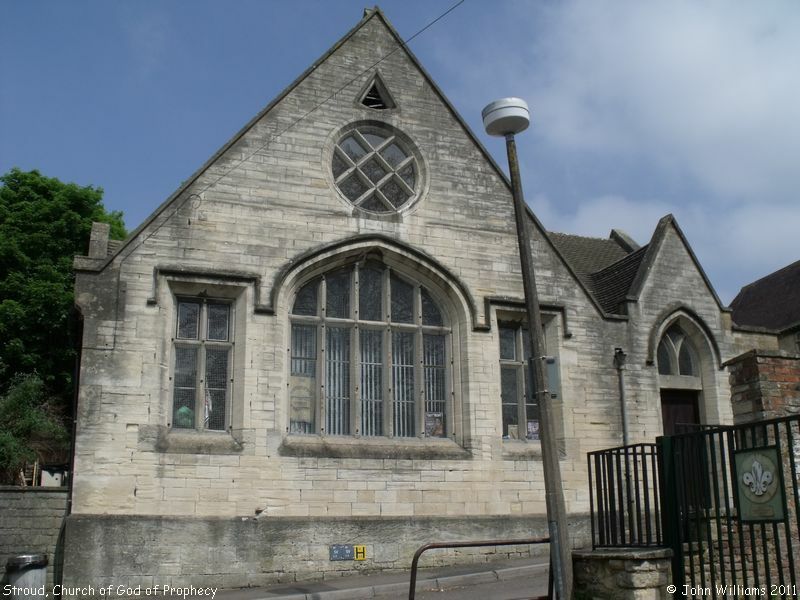 This building appears to have been one of the Sunday-schools associated with, and next door to, Stroud's former Congregational "Old Chapel". It is shown on Old Maps, for instance OS 1884 Town Plans, 1:500, as admitting "Boys & Girls". A second building to the rear of the Old Chapel was for Infants. 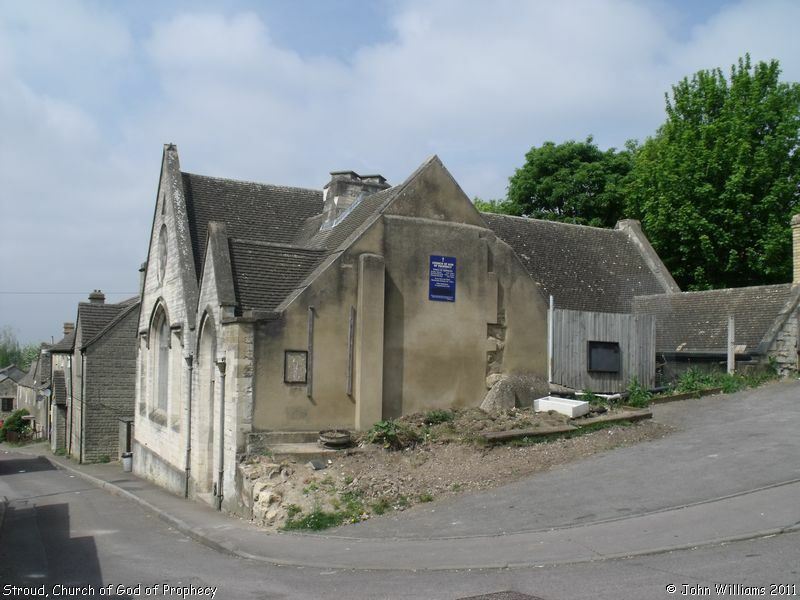 Church of God of Prophecy (former Sunday-school), Stroud shown on a Google Map. Places of Worship in Stroud shown on a Google Map. I have found many websites of use whilst compiling the information for this database. Here are some which deserve mention as being of special interest for Stroud, and perhaps to Local History and Places of Worship as a whole. Information last updated on 27 Apr 2011 at 18:12. Please also remember that whilst the above account may suggest that Church of God of Prophecy (former Sunday-school) remains open and accessible, this may not remain so. This Report was created 29 Mar 2019 - 00:24:15 GMT from information held in the Gloucestershire section of the Places of Worship Database. This was last updated on 7 Feb 2019 at 07:45.